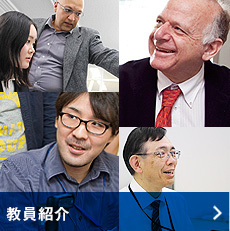 The ICT demand in international market is rising every day; the Innovator course in Kobe Institute of Computing (KIC) is an actual and essential course to fulfill the market interest. In spite of having the ICT knowledge, I was really interested to be part of the teams that create and manage big ICT projects, because I believe that ICT put the world to the part of the sustainable development; in this vein KIC Innovator course was the only option to achieve my dreams. During the first academic year in KIC we had colossal opportunities that help us to meliorate our personal and professional ingenuity; In KIC beside the technical parts we studied the social parts as well. For instance, the Tankyu concept in KIC is one of the serviceable methods for an Innovator course student to address the issues, provide the possible hypothesis and find a unique solution. Furthermore, the ability to design an ICT4D project from the scratch and making all the necessary documents to achieve the project goal was a significant achievement as well. Meanwhile, the special lectures which have been offered from the experts of different institutions were very useful and gratifying. The KIC is located in a tourist area of Kobe city where you can find different museums, and meet many foreigners. The international environment in KIC is good fortune for students; It is a great opportunity for cultural and information exchange. I would like to continue my study in KIC and pursue working as a specialist of ICT4D projects back in my beloved country Afghanistan. Hello, this is SIMON Dedjo Yao from Ivory Coast, I completed a Master Degree in Geography and a Master degree in GIS & Remote Sensing at University Felix Houphouët of Abidjan. After a few years of professional experience in different projects and especially in the JICA’s project of the “Development of the Urban Master Plan and Transport Master plan of the Greater Abidjan” within the multidisciplinary team of Oriental Consultants Co.Ltd, I realized that I need more skills in the field of ICT (Software Engineering, Programming, Network technology) and ICT4D in order to increase my efficiency and be able to handle real word problems in their holistic dimension. 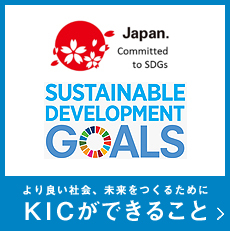 Through JICA’s ABE Initiative (African Business Education Initiative for Youth) program, I got a scholarship and I made the choice to study at Kobe Institute of Computing (KIC) to fulfill my career objectives. At KIC, I belong to Professor Ikuo Sugiyama Lab, a Lab which researches about utilization of ICT for efficient Management of urban area and its development. The research axes of the Lab motivate my choice of that Lab. Personally, I research about the “development of a Flood Alert system for a quasi-real time flood risk information sharing in Abidjan”. I appreciate my Lab research activities which are based on Lab activities with my Supervisor, collaboration with other labs of KIC and Lab of Osaka University (Division of Global Architecture), writing papers and attending conferences and workshops. I hope to get valuable skills during my graduation in order to apply them back to my home country and to set up innovative businesses.